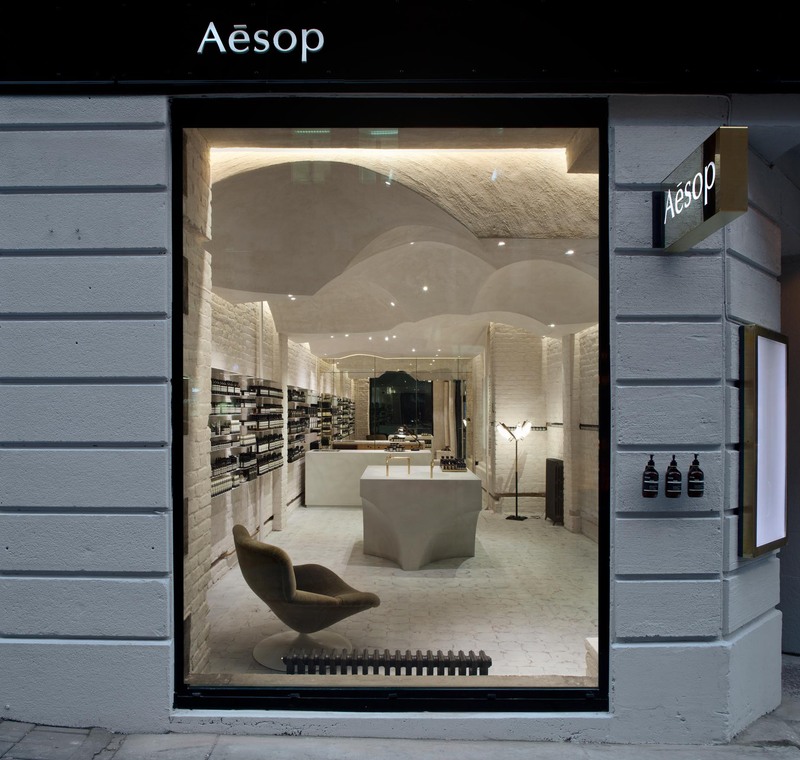 Mr. Paphitis, your cosmetic company Aesop incorporates aspects of philosophy, poetry, and refined architecture into its brand. What is more important, form or function? A product needs to perform, but if it can do so with a little poetry, so much the better. Technology increasingly robs us of the “mystical” in our lives, but not everything needs to be fast, available, and convenient. I like ideas and products that reveal themselves slowly – more whisper than scream, something that becomes part of our own personal universe. I’m always happy to trade off a little function to improve the form, though ultimately both need to co-exist. 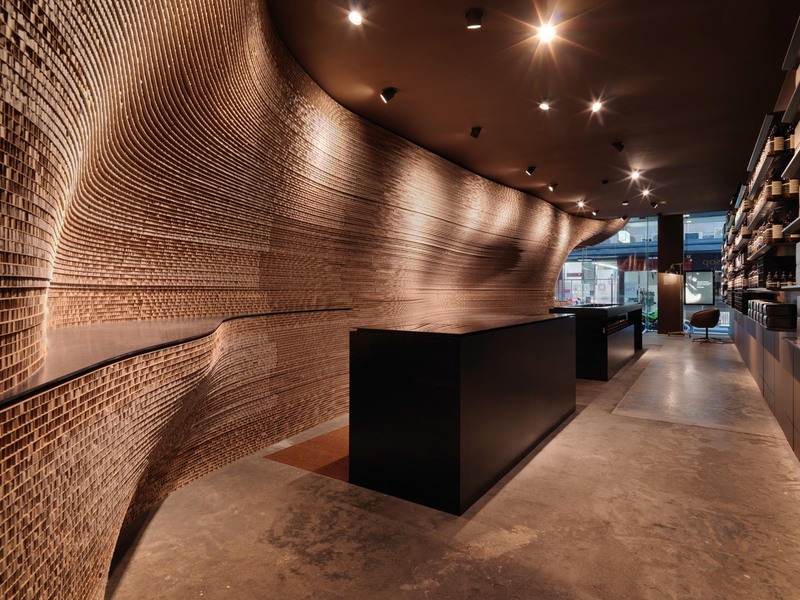 More than form, I feel strongly that the ethos of all great brands must be built around a set of coherent principles that find expression in distinct and compelling ways. There is a system and a method for every process in your company, from the toilet paper to the way a parcel is wrapped – even the finance department has approved colors it can use for graphs. Why are those things important, even if most of your customers won’t ever see them? The parts that you don’t see often matter the most. The smallest, well-intended rituals and gestures matter and the energy they generate infuse into space, spirit, and eventually the product itself. It’s why the philistine plagiarists who attempt to copy what we do always fail – always. Thousands of seemingly insignificant and bizarre actions accrue and collude together to become the essence of the product. I think the same principle applies to people. It’s our human fractures that make us appealing. Perfection bores me. There are now over 100 stores around the world. Has it been challenging to maintain authenticity as your brand has grown? Authenticity is an uncompromising decision that needs to be taken at the outset of a brand’s journey. It’s a commitment to “doing it well” with minimal tradeoffs and a capacity to endure pain where required if that’s what’s required for the best, long term outcome. So much of the commercial environment around us is ugly, lazy, and banal. We’re so often accosted with a kind of cheap aesthetic assault designed to momentarily titillate and superficially provoke. Enduring brands all have a strong and confident signature, a real perspective, a confident aesthetic – aesthetic in the literal sense of the word, to feel and sense something. Taste matters in the end. Did you have a formative experience with taste as a young person? I remember in my early teens working for my father in his barbershop after school and spending hours looking at all these strange tonics and grooming products for sale. The well-designed stuff that had been left untouched from the 1960s was so much more interesting than what was being churned out in the late ’70s. Sharp design endures, whether it’s a bottle cap or typography. Do you feel like the current generation is more interested in products that are simple and honest? In some ways, yes. We have to remember that our products are very personal; they touch the skin, literally and metaphorically. These products become a trusted friend and one that is not easily superseded. There is a kind of evolutionary discovery that happens as the connection deepens. We’re not for everyone, but those who “get it” really feel like they’ve found their thing. Our products fulfill a real need and we design these to be enjoyable and accessible. It’s more about seeking the best that’s possible in the small gestures and decisions we make. Good bread, a real newspaper, clean water – these are luxuries. The luxury that matters most to me is rarely the sort that comes with a logo. So it has nothing to do with hedonism? That seems to be what many would call luxury. The version of hedonism that’s more interesting is one that’s built around a certain spirit and generosity for life itself rather than some spin doctor’s take on why a mass-produced handbag with vulgar branding all over it might change your life. It won’t. For the most part I think indulgences are healthy and necessary. Material indulgences have their limitations. But if you attend a great performance and it deeply moves you enough to want to return again the next night, why not? Life is fleeting, the more we fuel ourselves the more we have to give. Life without some excess, forget it. Sigmund Freud once said, “Love and work, work and love… That’s all there is.” Would you say that’s an accurate depiction of your life? Family and work mean everything to me. Overall, my family time has remained consistent though the workload has actually increased, however this work is no longer singularly Aesop related. I think balance as an ideal and concept is grossly overrated, if you’re energized and passionate there’s no point fighting this, there are times when I’m driven to work like a mad man and this brings great joy. I’ve never thought of myself as an entrepreneur; I don’t instinctively possess an alpha desire to lead or conquer the commercial world. Perhaps in some way I’m an “accidental merchant.” Through my working life, I’m driven by an innate need to produce and be surrounded by interesting projects and activity that stimulates me. What is a project that currently interests you? There are a few ideas fermenting. The one I’m most attached to has a working title of “Up Joyce’s Nose” and is intended to express the olfactory lows and highlights of Ulysses through a series of “smell-scapes” and performance readings over a number of years across cities that the great man connected with, like Paris, Zurich, and Trieste. It’s a completely crazy thought that I’d really like to see it happen. You seem to have a profound interest in chemistry. What can you tell us about the way that science and beauty interact in the current commercial climate? 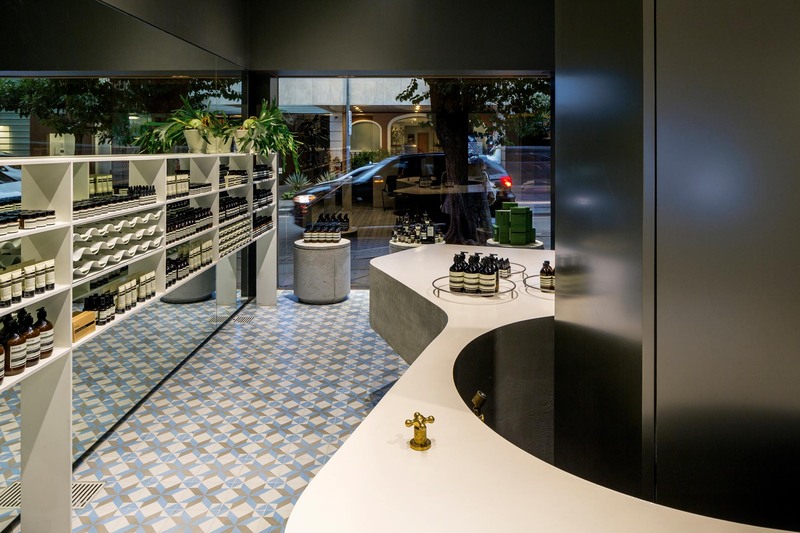 What is Aesop doing differently? 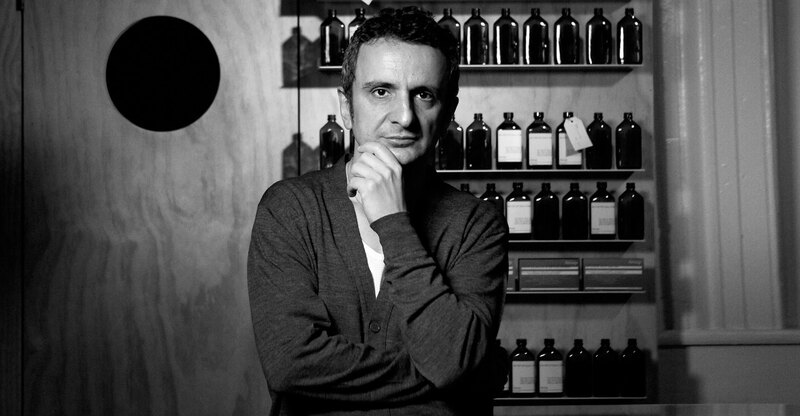 I’ve not been involved with Aesop product development for many years however what I love to observe is how much care and diligence continues to be applied to every single product throughout the entire development process. Could you imagine a life without work? I can’t imagine life without love. I don’t know where work begins and ends, that’s not so important to me, what matters is to dive in, just to get on with it. I’m not so precious about work or play, it’s always the action and possibility that excites me. Work, the process itself can be incredibly grounding when you love what you do, it builds resilience and fortitude and with time we learn to adapt and forgive when things don’t pan out as we imagine. Know your own script, write your map, and sweat it out. Rise above short-termism; good decisions deliver joy and value over a far greater length of time.